Austin knows how to throw a party, and when we&apos;re on the road, we&apos;re sure to bring that live-music-loving, good-time-having vibe with us. Austin CVB was proud to team up with the House of Blues Chicago as the Proud Music Partner of PCMA Education Foundation&apos;s Party with a Purpose at the Professional Convention Management Association (PCMA) annual meeting, which took place in Chicago, January 11-14. Tunes by the Nightowls, a 10-piece soul band from Austin, had the meetings industry letting loose on the dance floor while raising money for the PCMA Education Foundation, PCMA&apos;s Network For the Needy and Future Founders, a local Chicago organization. 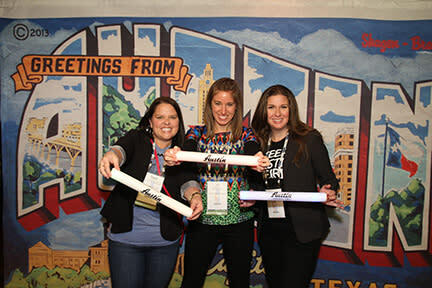 Austin CVB served as the official music partner for Convening Leaders Party With a Purpose, as well as the PCMA 20 in Their Twenties initiative. PCMA is the leading organization for meeting and event professionals. Workshops, speakers, educational programs and networking events fill the four-day conference. Austin looks forward to hosting PCMA&apos;s annual event in 2017.